The project will increase space utilization by creating additional usable floor space within the structure and existing penthouse, resulting in an additional 20 percent increase in the total building square footage to 20,500 gross square feet in this four-story building. This will accommodate the expansion needs of the Department of Nuclear Engineering and Radiological Sciences (NERS) in the College of Engineering. The NERS department has consistently maintained top rankings of graduate nuclear engineering programs and is growing in faculty, students, and research. 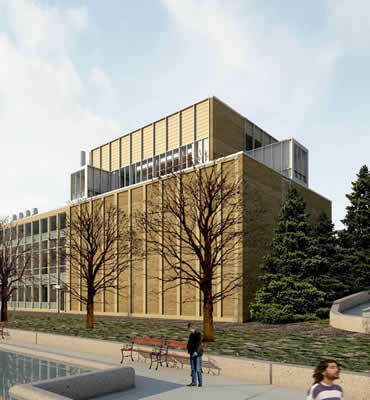 This project includes a comprehensive renovation of the building, and new space for flexible research laboratories, testing areas, offices, support spaces, and mechanical equipment.